The time of year for exterior lighting is here! Traditionally, most outdoor floodlights have used halogen bulbs, which use 20-30% less energy than older incandescent bulbs, but which come nowhere near LED bulbs for their energy-saving potential. The biggest advantage of LED bulbs in this case is their superior lifespan. Whereas a halogen bulb might last around 2,000 hours, LED floodlights can last 30,000 hours or more. In addition to the cost saving that this long lifespan provides, it means that you won’t have to go through the hassle of replacing your floodlight (or its bulb) nearly as often. This alone makes for a good reason to upgrade to LED floodlights. A recent project has been upgrading a car park lighting solution to LED. This has meant that the project paid back on its investment within two and a half years, just from the energy saved. The products then have another four years of expected service, which means even more energy savings compared to the previous, more conventional, lighting method. LED really is a no brainer. There are a few features and technical specifications to look out for when shopping for exterior lighting. 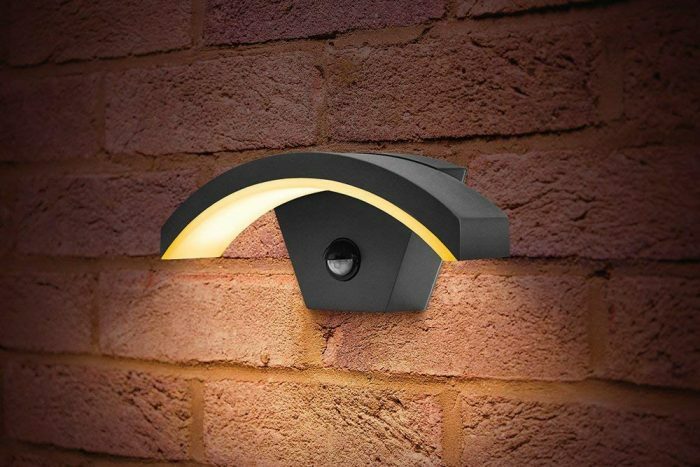 Electrical, battery and solar-powered outdoor lights have an IP (Ingress Protection) rating. This refers to how well they’re protected from intrusion of water and dirt. 3: Protection from entry by tools, wires etc. with a diameter of 2.5mm or more. So, for example, a light with an IP rating of 68 will be very protected from both intrusion and moisture, and would therefore be ideal for an exterior location near any moisture. A number replaced by an X indicates that the enclosure is not rated for that specification. Therefore, a light with a rating of X4 hasn’t been rated for intrusion, but offers protection from water spray in any direction. Before you even start looking for the right outdoor floodlight, determine where you’re going to install it. Most importantly, what area does the light need to cover? The height and angle at which the light is installed could make a big difference as to how well it lights your chosen space. Windows, doors, drainpipes and gutters may all be obstacles to finding the right placement, so it’s important to think about this early. When you have decided on the right spot, try and get an idea of the size of light that will fit in the space. It would be no good buying a high-powered floodlight, only to find that it’s too big to fit in the position you have chosen for it. How do you want your outdoor light to activate? As lighting technology progresses, floodlights are becoming more sophisticated in how they are activated. In addition to the standard on/off switch that you can use to manually activate your light, you can also find floodlights with motion sensors, which will illuminate when someone (or something) passes in range of its sensor. Alternatively, ‘Dusk till Dawn’ floodlights automatically switch on when the ambient light falls to a certain level, and then switch off again in the morning when the sun comes up. 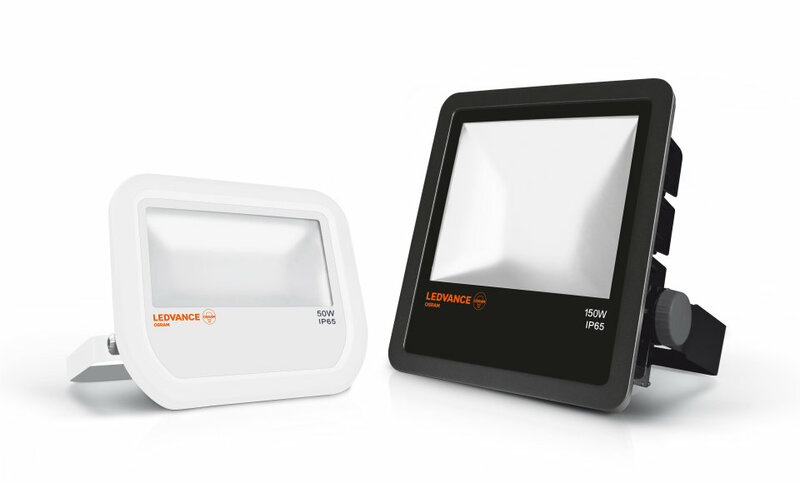 Floodlights come in a broad range of brightness outputs, perhaps moreso than any other type of light. You can find floodlights that output anything between 700-20,000+ lumens. A small patio would have a low lumens output (of 500lm), a medium garden of 150m² would have a higher lumens output (2400lm), and a car park would typically have a significantly greater lumens output (9000-20000lm). The above information should allow you to make an informed decision on your choice of exterior lighting.